If you think you have experienced a sewer backup from the MSD public sewer, you must report your backup to MSD within 24 hours of discovery. 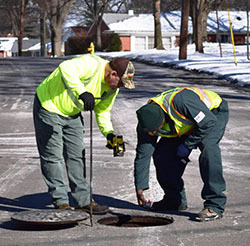 MSD's Sewer Backup (SBU) Program provides assistance to MSD customers who have experienced a sewer backup from the MSD public sewer. If you suspect a sewer backup, click here for Next Steps: 5 Things You Need to Know.